Picture of an American alligator's (Alligator mississippiensis) head. The alligator is swimming through the water. 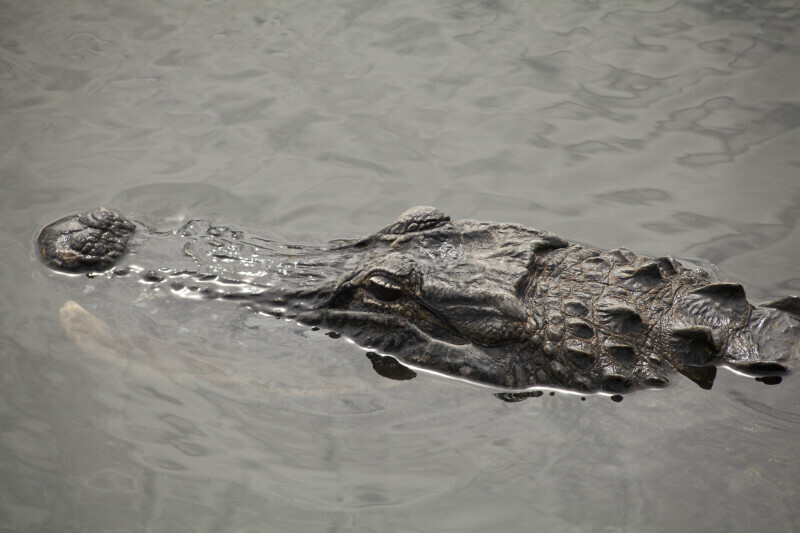 This photo was taken near the Oasis Visitor Center at Big Cypress National Preserve.